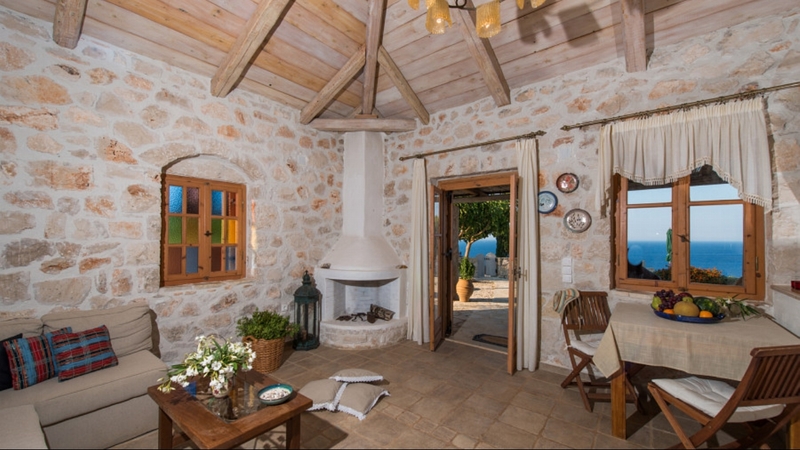 The holiday villa is constructed in harmony with its natural environment, simply decorated and fully equipped to accommodate home comforts. 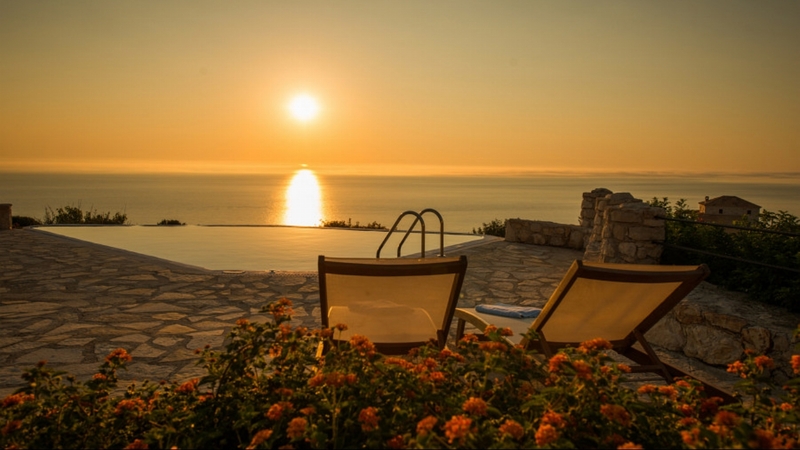 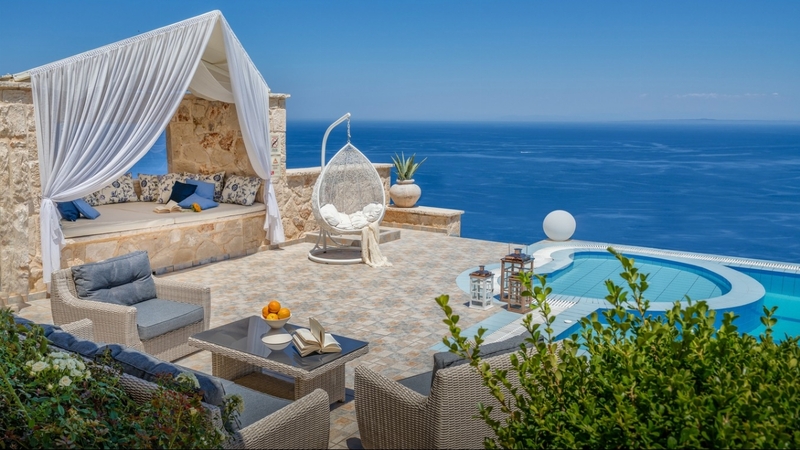 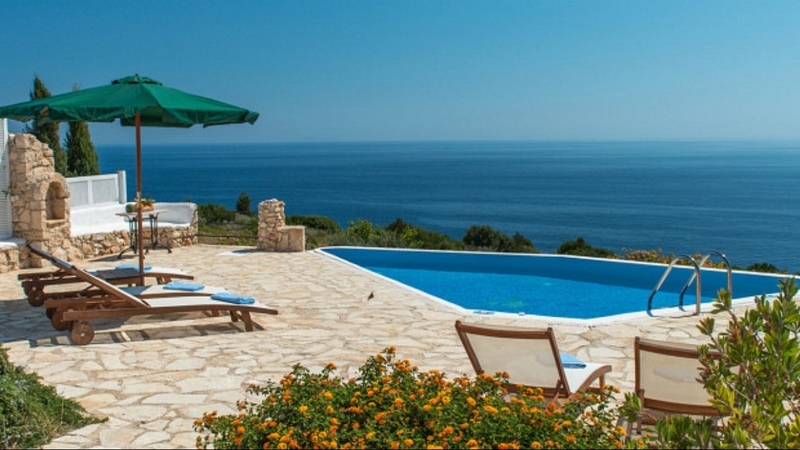 With glorious views over the sea, this is a super holiday villa rental for relaxing escapes. 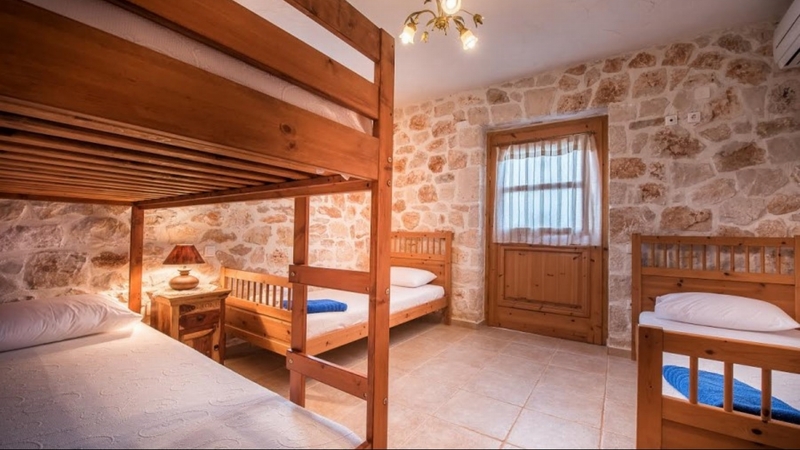 On the ground floor there is one double bedroom and one with single beds, both en-suite bathrooms, sitting/dining room, fireplace and fully equipped kitchen. 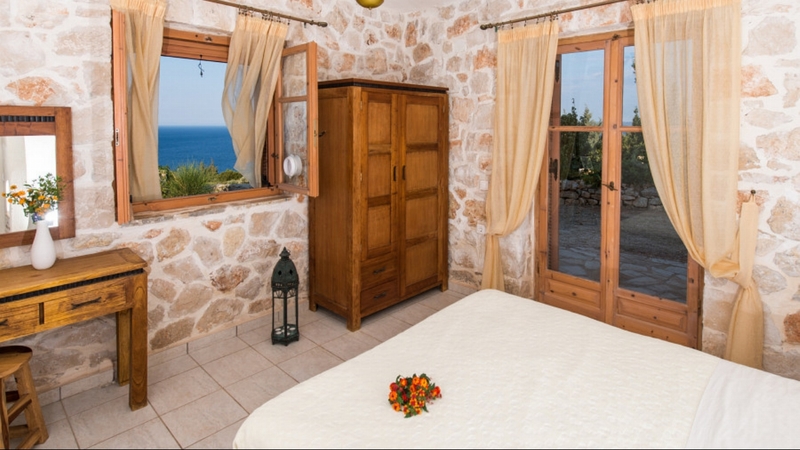 The first floor comprises of one double bedroom with en-suite bathroom and large covered veranda with panoramic sea view. 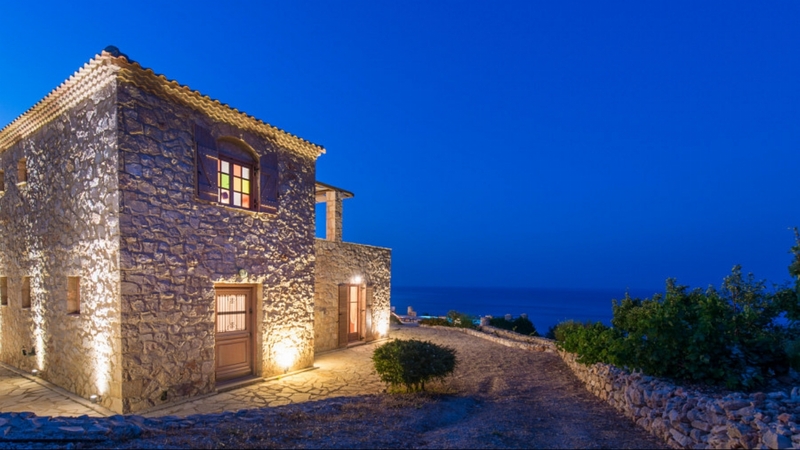 It has a private pool and jacuzzi, as well as direct access to the sea which can be reached on foot by a path that leads to the impressive Priest’s Cave. 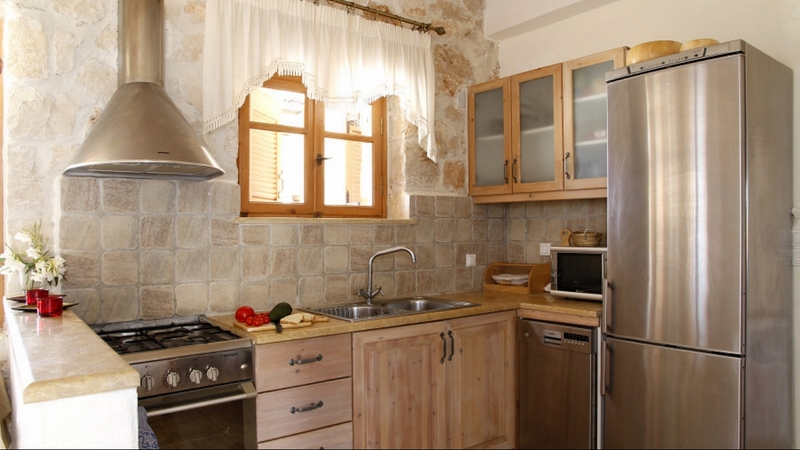 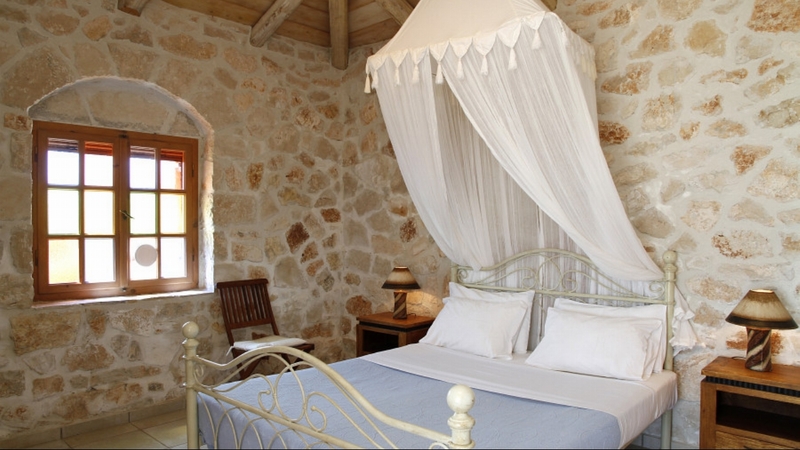 Villa Crystal is located on the northern side of Zakynthos; the most beautiful and tranquil area of the island. 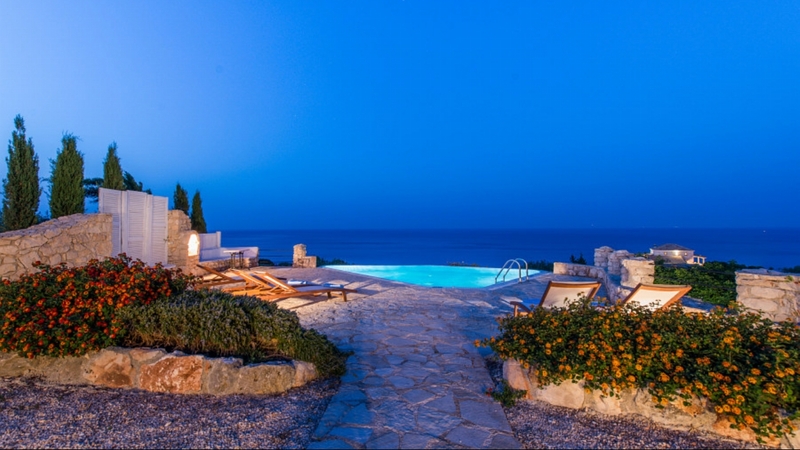 * Please contact us for long-term bookings, weddings & special events to confirm the prices.